Keeping work and life separate could be making you stressed. To have a good work-life balance you shouldn’t take work home with you, and personal matters should be dealt with in your own time, right? Wrong, says new research. Keeping work and home life separate could actually be making you more stressed. Instead, integrating the two is the best strategy to strike the right balance. The research, published in the journal Human Relations, studied over 600 employees and found that integrating work and home life can actually make employees more effective at their jobs. “Overall, these findings suggest that integration, rather than segmentation, may be a better long-term boundary management strategy for minimizing self-regulatory depletion and maintaining higher levels of job performance during inevitable work-family role transitions,” the researchers note. And it’s these transitions that can cause stress, as well as depleting energy levels, as you attempt to banish thoughts of your other role from your head and focus on the task at hand. You might be sitting at your desk when suddenly it occurs to you: “I need to speak to my son’s school.” Pushing this thought away and attempting to continue concentrating on your work will result in increased stress and reduce your ability to focus. The researchers suggest employers should allow workers to integrate their home life into their work life, and vice versa. 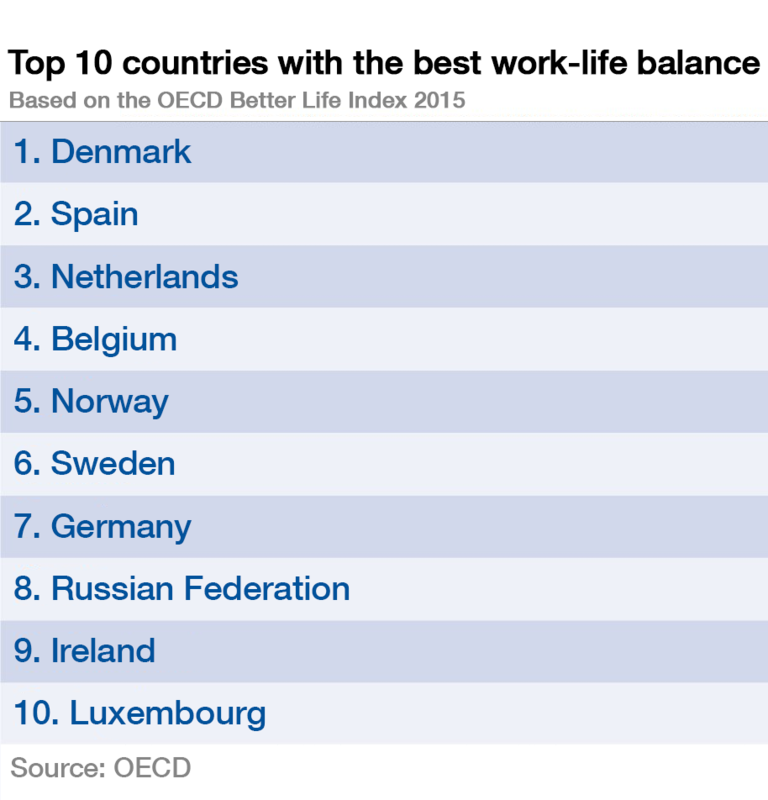 While most people are still searching for the right work-life balance, some nationalities are closer to achieving it than others. Most employees in Denmark don't work long hours, and government policies support families with young children, allowing people to balance their work and home life. Should you forget work-life balance?